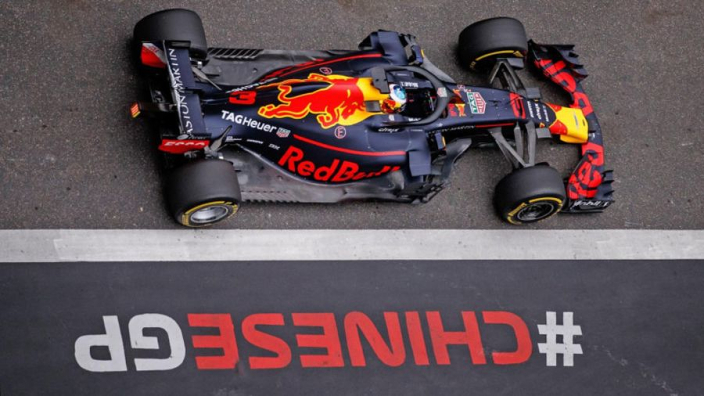 Red Bull finally arrived in Formula 1 for 2018 as Daniel Ricciardo stormed to victory at the Chinese Grand Prix. Team-mate Max Verstappen delivered a typically controversy-laden performance which wrecked the race of championship leader Sebastian Vettel, a week on from a collision with Lewis Hamilton. A spectacularly blown turbo almost prevented Ricciardo from taking part in qualifying, but Red Bull's mechanics ability to piece together a car in record time paid off in a big way as the Australian delivered the perfect response to last week's double DNF in Bahrain, in which his car shutdown after a solitary lap. In slight symmetry to the season-opener where Haas inadvertently helped Ferrari, Red Bull's sister team Toro Rosso take an accidental assist after Pierre Gasly and Brendon Hartley's collision caused a crucial safety car which allowed Ricciardo to take soft tyres, with all cars ahead of him on worn mediums. In the space of 10 laps, Ricciardo went from fifth to the lead, pulling off astonishing overtakes down the inside of Hamilton into the hairpin and Valtteri Bottas at turn seven. Bottas had looked in position to win until the safety car, responding well to criticism over last week's failure to overtake Vettel at the last in Bahrain, but there was nothing he could do to halt Ricciardo's charge. The Finn showed he has the ability to hold onto position, taking second place ahead of Kimi Raikkonen in third. Verstappen ought to have completed the podium, but ruined his own race was with two overzealous manoeuvres - one around the outside of Hamilton which only served to move Ricciardo ahead of him and another inside Vettel which saw the Dutchman blunder into the Ferrari and prompt a 10-second time penalty, which means his fourth-place finish results in fifth and moves hamilton ahead of him. Vettel finished eighth, overtaken late on by the McLaren of Fernando Alonso, offering a withering: "I do not need to say anything," after his contact with Verstappen. Ricciardo's victory only goes to show how poor Verstappen's performance was. He held track position over his team-mate after the safety car but he can blame nobody but himself. He vowed not to change after the "dickhead" controversy of a week ago. Maybe tweaks are needed. Red Bull weren't lying! They were well in the fight all race and their ability to get in among Mercedes and Ferrari was crucial in their strategic success. Another stunning drive from Alonso helped McLaren take seventh via a one-stopper. There was even a racy move up the inside of a fading Vettel to take a few extra points. They're yet to get into Q3, but keep banking points. Raikkonen will have some satisfaction at taking the podium, after he was hung out to dry by Ferrari - used as a rolling roadblock early in the race in an attempt to slow Bottas. It wouldn't have worked besides and the calm head was ultimately the winning way.